Princess Gul-Badan Begam witnessed the reign of three Mughal emperors: her father Babur's, her brother Humayun's and her nephew Akbar's. 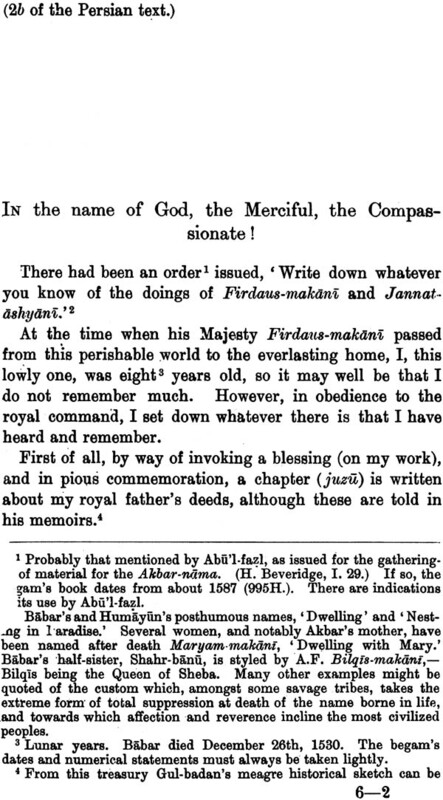 Perhaps this explains Akbar's choice of Gul-Badan, the only woman, along with Jauhar and Bayazid ewer-bearer and steward of Humayun when he ordered these three to 'write down what ever you know of the doings of Firdaus-Makani and Jannat-ashyani', i.e. Babur and Humayun. Akbar wanted to help his friend Abu'l Fazl gather materials for his Akbar-nama, hence this order. Gul-Badan's efforts culminated in Humayun-nama. 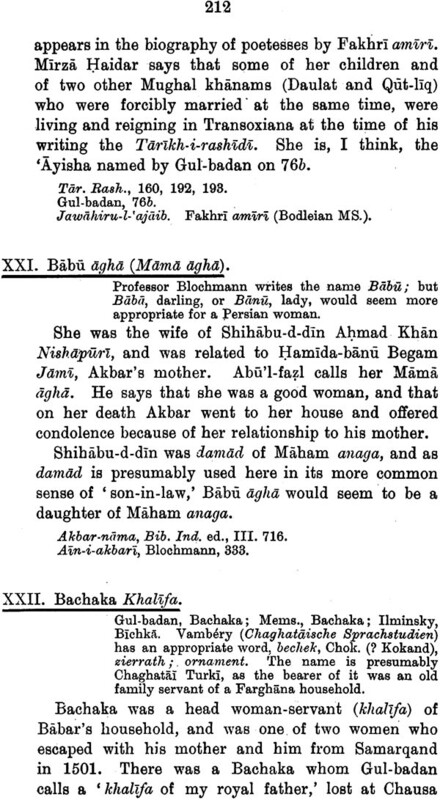 Her mother-of-fact style did not impress Akbar, though Abu'l Fazl did not hesitate to copy verbatim parts of her work without acknowledgement. For this reason, only three copies were made of her book, out of which only one survived and reached the British Museum. Here Annette S. Beveridge, chanced upon this almost unknown work and published its translation in 1900. 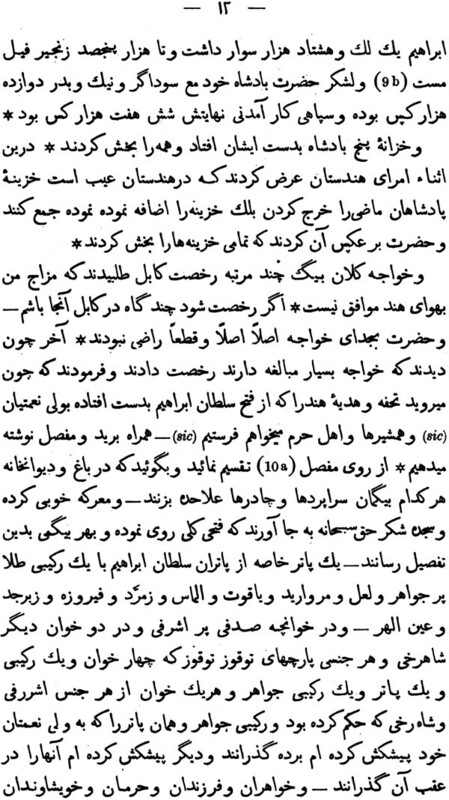 When she wrote this Humayun-nama, Gul-Badan was more than sixty years old. Also she had to depend mainly on her memory. As such her facts occasionally do not tally and dates are jumbled. Her interest was people and not events. So her chronicle is highly successful in conjuring up visions, for the reader, of feelings, emotions, quarrels and reconciliation of a group of men and women. As a source-book this book is of great use to historians. The notes and biographical sketches of the ladies in the royal harem of Babar and Humayun furnished by the translator adds a touch of fascination to this book and makes it a remarkable memoir of a Mughal princess for the other readers. IT was in October, 1900, that the late Mr. F. F. Arbuthnot made arrangements with me for the publication of this volume. It has now to put forth bereft of his guidance. I can but trust that he would have given to the finished work the welcome with which he greeted the small portion I was able to show him in print. It is natural to feel towards him what he has expressed in his dedication of the Assemblies of Al Hariri to Chenery, and to hope he may be glad of the fulfilment of this piece of his work. 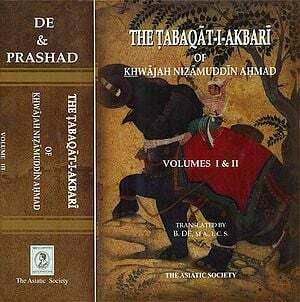 The little history which is reproduced in this volume has few, if any, compeers, inasmuch as it is the- work of a Musalmani, and lights up her woman's world. She writes colloquially and without pose, and is unaffected and spon- taneous, For these reasona I have tried to .make an accu- rate copy of her text, and to preserve her characteristics of orthography and diction; and this the more that the British Museum MS. may be her very own, unique, and autographic. With a few chosen exceptions, I have repro- duced all her deflections from common rule without com- ment; my additions to the MS. are limited to a few izafats and other signs of which example is given at some place in the MS..
Princess Rose- body has rendered one essential service to history, by giving precise details of relationship in her own and some contemporary families. Up till now, however, no use has been made of her information, and her book has remained, both in India and Europe, a literary parda- nishin. The Biographical Appendix, which I have modelled in admiration of Professor Blochmann's in his Ain-i-akbari, will, I hope, be of use to future writers. It is the outcome of the notes of several years, but it is incomplete and over brief. Nevertheless, it discloses the elements of many a romantic story. One of an author's most agreeable final touches is the expression of thanks to those who have helped his book on its way. My obligation to my husband is too great to be told. I am much indebted to Mr. A. G. Ellis for his un- failing kindness during the long and pleasant time of my work in the British Museum, and to my friends Mr. E. H. Whinfield and Mr. W. Irvine for the expression of their opinions on several perplexing points. As I have said in writing of the plates, I owe all my illustrations but one to Mr. Bourdillon, B.C.S.. The printing of a book so full as is this one of unfamiliar names and of diacritically-marked letters entails a heavy tax upon proof-readers and compositors. I wish to express my sense of this, and to thank Messrs. Billing, their proof- readers and their compositors for what they have done to accomplish a difficult and tiresome task. My thanks are indeed due and are offered to Messrs. Drugelin for the patience and skill with which they have dealt with Persian copy from my untrained hand. 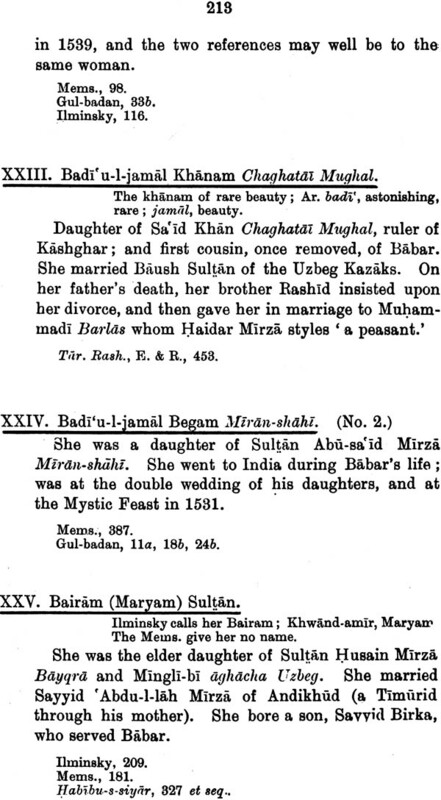 GUL-BADAN BEGAM (Princess Rose-body) was a daughter of Zahru-d-din Muhammad Babar, in whom were united the lines of highest Central Asian aristocracy-namely, that of-Timur the Turk, through his son Miran-shah ; and that of Chingiz the Mughal, through his son Chaghatai. He was born on February 14th, 1483, and succeeded to his father's principality of Farghana when under twelve. 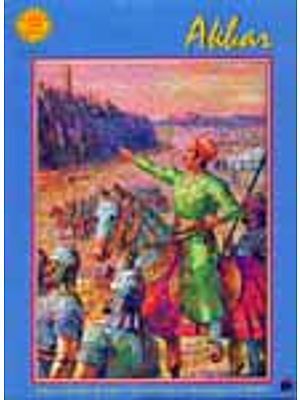 He spent ten years of early youth in trying to save his small domain from the clutch of kinsmen, but, being forced to abandon the task, went southwards in 1504 to Afghanistan, where he captured Kabul from its Arghun usurpers. 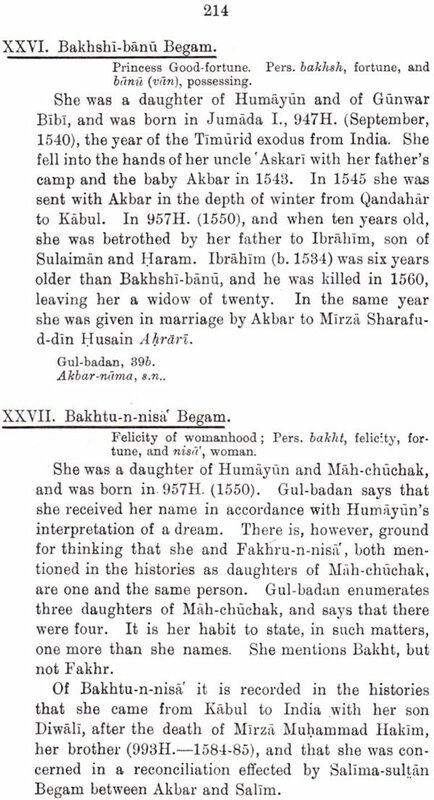 Princess Gul-badan was born somewhere about 1523 and when her father had been lord in Kabul for nineteen years; be was master also in Kunduz and Badakhshan ; had held Bajaur and Swat since 1519, and Qandahar for a year. 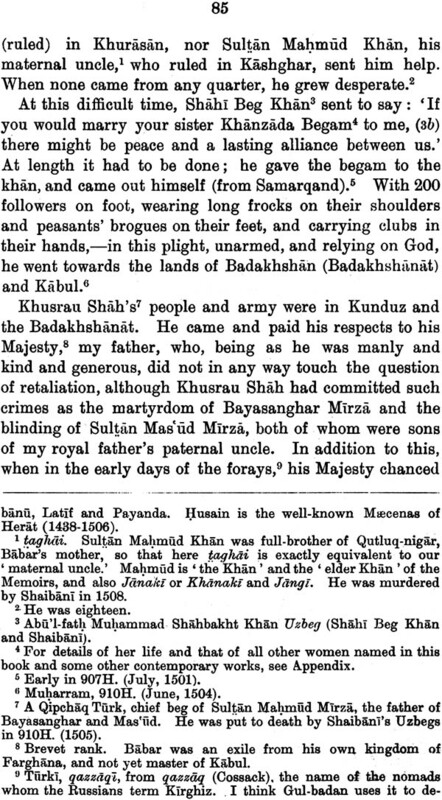 During ten of those nineteen years he had been styled padshah, in token of headship of the house of Timur and of his independent sovereignty. To translate padeliah, how- ever, as is often done, by the word emperor would give a wrong impression of Babar's status amongst rulers at this height of his rising fortunes. 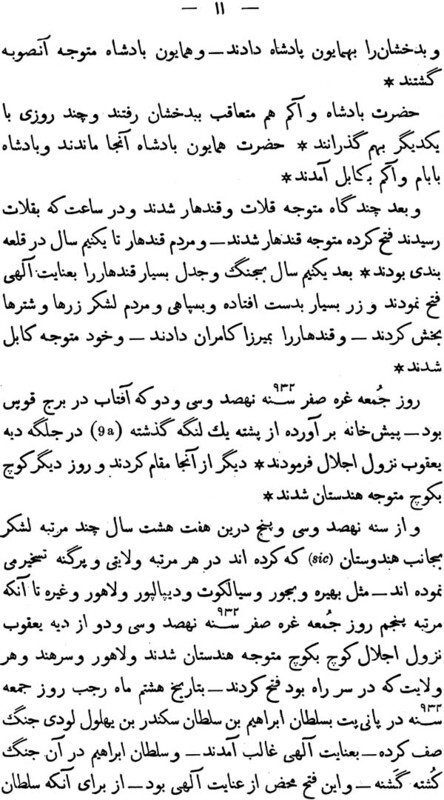 Nevertheless, Gul-badan was born the child of a strong and stable chief, and of one who was better followed in war than his nominal domains would allow, because his army was drawn for the most part from tribes not under his government, and was not territorial and of Kabul but personal and inherited. Babar says that he cherished the desire to conquer beyond the Indus for nineteen years. At the date of Gul-badan's birth he was engaged in the attempt, and succeeded when she was about two and a half years old. He then became the first Turki sovereign in Hindustan, and the founder of its miscalled Mughal dynasty. If the princess had first seen light in London instead of in Kabul, she would have had Henry VIII for king, and the slumbers of her birth-year might have been troubled as men marched forth at Wolsey's will to fight and lose in France. Her personal vicissitudes were the greater that she was a Timurid and Turk. She spent her childhood under her father's rule in Kabul and Hindustan; her girlhood and young wifehood shared the fall and exile of Humayun; and her maturity and failing years slipped past under the protection of Akbar. Her mother was Dil-dar Begam-the Heart-holding Princess-of whose descent, it is noticeable to observe, neither her husband nor her daughter gives any informa- tion. This peculiarity of omission she shares with Maham, the wife of Babar's affection and the mother of his heir; and with Gul-rukh, the mother of Kamran and 'Askari. All three ladies are spoken of by our begam with the style befitting the wives of a king; all were mothers of children, and for this reason, if for no other, it seems natural that something should be said of their birth. Babar frequently mentions Maham, and calls her by this name tout court. 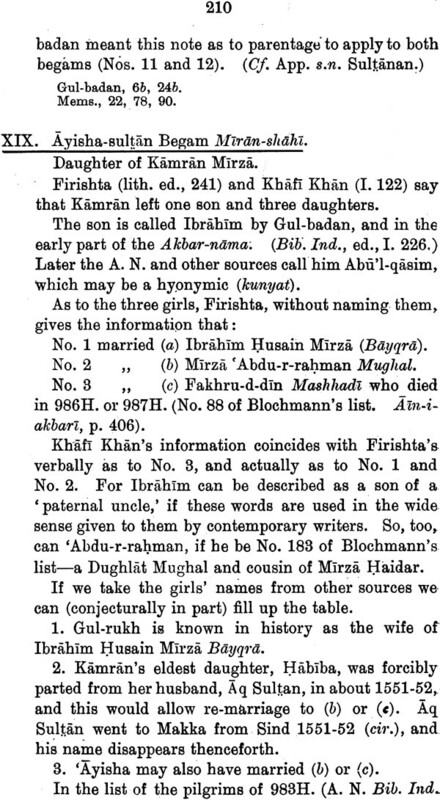 Dil-dar's name occurs in the Turki version of the Memoirs, but not ir, the Persian, and she is there styled aghacha- i.e., a lady, but not a begam, by birth. Gul-rukh is, I believe, never named by Babar. This silence does not necessarily imply low birth. It may be an omission of the contemporarily obvious; and also it may indicate that no one of the three women was of royal birth, although all seem to have been of good family. 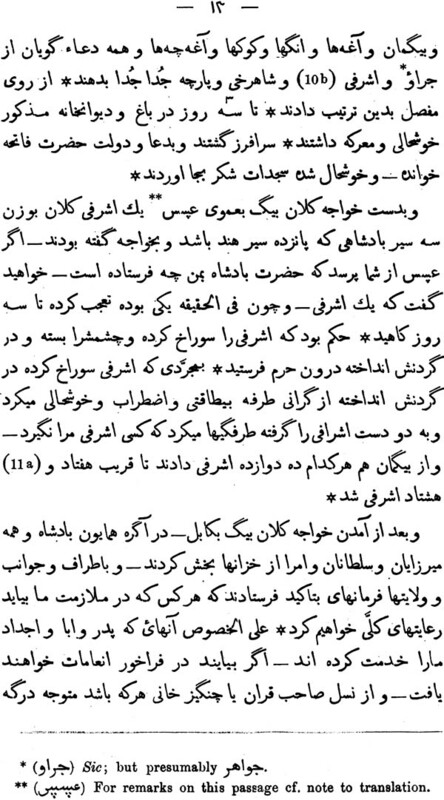 Three Timurids had been Babar's wives in childhood and youth. These were: 'Ayisha, who left him before 1504 and who was betrothed to him when he was five; Zainab, who died in 1506 or 1507; and Ma suma, whom he married in 1507 and who died at the birth of her first child. 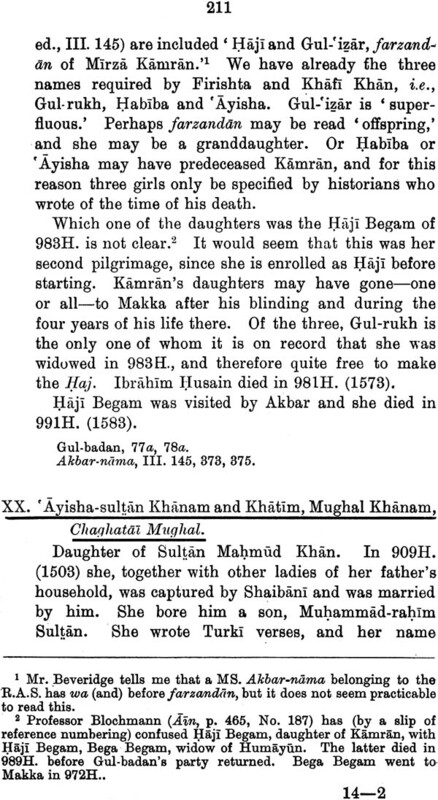 Maham was married in Khurassn, and therefore in 1506; Dil-dar and Gul-rukh probably considerably later, and after the three royal ladies- had passed away from the household. The next recorded marriage of Babar is one of 1519, when a Yusufzai chief brought him his daughter, Bibi Mubarika, as the seal of submission. She had no children, and was an altogether charming person in the eyes of those who have written of her. To return now to Dil-dar.She bore five children, three girls and two boys. The eldest was born in an absence of Babar from Kabul and in Khost. This fixes her birth as occurring somewhere between 1511 and 1115. She was Gul-rang (Rose-hued), named like her sisters from the rose; then came Gul-chihra (Rose-cheeked); and then Abu'n- nasir Muhammad, the Hindal of history, who was born in 1519; next was Gul-badan (Rose-body); and last a boy, whom his sister calls Alwar, a word which looks like a sobriquet drawn from the Indian town. He died after the migration of the household to Agra, and in 1529. 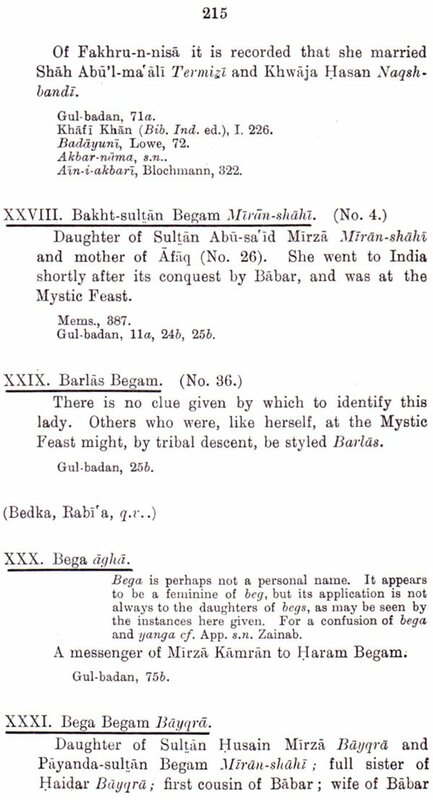 Princess Gul-badan was born some two years before Bsbar set out on his last expedition across the Indus, so her baby eyes may have seen his troops leave Kabul in November, 1525, for the rallying-place at Jacob's Village (Dih-i-yaqub). It is not mere word-painting to picture her as looking down from the citadel at what went on below, for she tells of later watching from this view-point which would give the farewell glimpse of the departing army, and, as weeks and years rolled on, the first sight of many a speck on the eastern road which took form as loin-girt runner or mounted courier. We who live upon the wire, need a kindled imagination to realize what it was to those left behind, to have their men-folk go to India. With us, fancy is checked by maps and books, and has not often to dwell on the unknown and inconceivable. To them, what was not a blank was probably a fear. Distance could have no terrors for them, because they were mostly, by tribe and breeding, ingrain nomads; many of them had come from the far north and thought the great mountains or the desert sands the desirable setting for life. Such experience, however, would not help to understand the place of the Hindus, with its heats, its rains, strange beasts, and hated and dreaded pagans. It is not easy to say wherein lies the pleasure of animating the silhouettes which are all that names, without detail of character, bring down from the past. Perhaps its roots run too deep and close to what is dear and hidden in the heart, for them to make way readily to the surface in speech. But it is an undoubted pleasure, and it is what makes it agreeable to linger with these women in Kabul in those hours when our common human nature allows their thoughts and feelings to be clear to us. Sometimes their surroundings are too unfamiliar for us to understand what sentiments they would awaken, but this is not so when there is news of marches; fighting, defeat, or victory. Then the silhouettes round, and breathe, and weep or smile. Babar left few fighting men in Kabul, but there remained a great company of women and children, all under the nominal command and charge of Prince Kamran, who was himself a child. His exact age I am not able to set down, for Babar does not chronicle his birth, an omission which appears due to its falling in one of the gaps of the Memoirs. 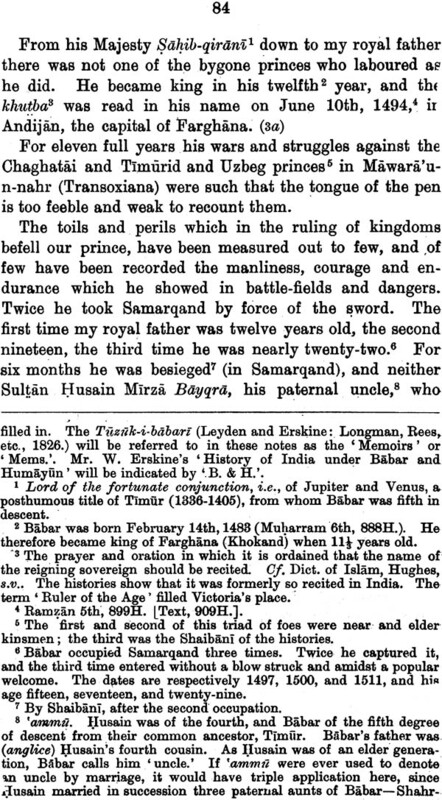 Babar left the city on November 17th, and was joined on December 3rd by Humayun at the Garden of Fidelity (Bagh-i-wafa). He had to wait for the boy, and was much displeased, and reprimanded him severely. Humayun was then seventeen years old, and since 1520 had been governor of Badakhshan. He had now brought over his army to reinforce his father, and it may well be that Maham had something to do with his delayed march from Kabul. She could have seen him only at long intervals since she had accompanied Babar, in 1520, to console and settle her child of twelve in his distant and undesired post of authority. 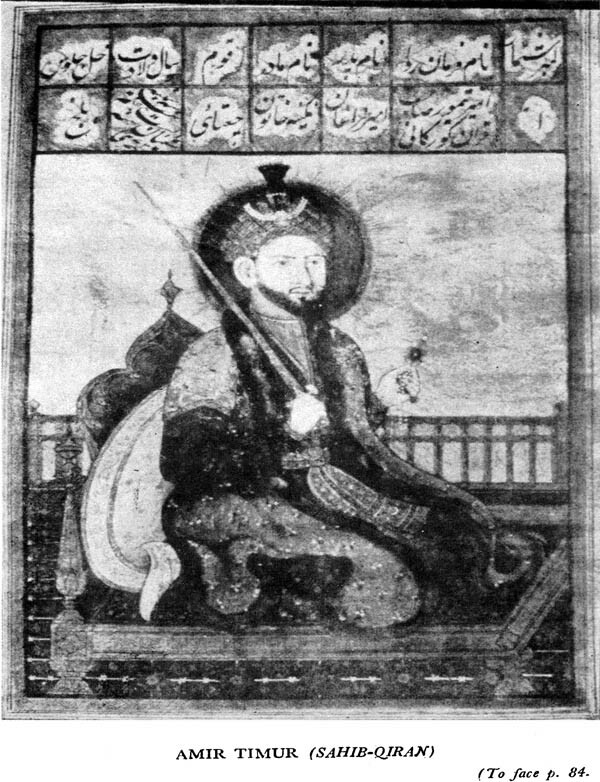 Shortly after the army had gone eastwards, disquieting news must have reached Kabul, for three times before the middle of December, 1525, Babar was alarmingly ill. What he records of drinking and drug-eating may explain this; he thought his illness a chastisement, and set himself to repent of sins which were bred of good-fellowship and by forgetfulness in gay company; but his conflict with them was without victory. He referred his punishment to another cause than these grosser acts, and came to regard the composition of satirical verses as a grave fault. His reflections on the point place him near higher moralists, for he says it was sad a tongue which could repeat sublime words, should occupy itself with meaner and despicable fancies. 'Oh, my Creator! I have tyrannized over my soul, and if Thou art not bountiful to me, of a truth I shall be numbered amongst the accursed.' These are some of the thoughts of Babar which lift our eyes above what is antipathetic in him, and explain why he wins the respect and affection of all who take trouble to know him. 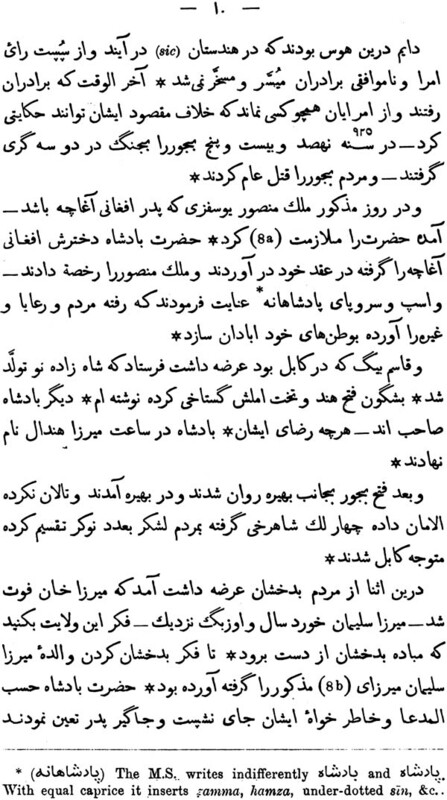 Persian Text At the end of the Volume.